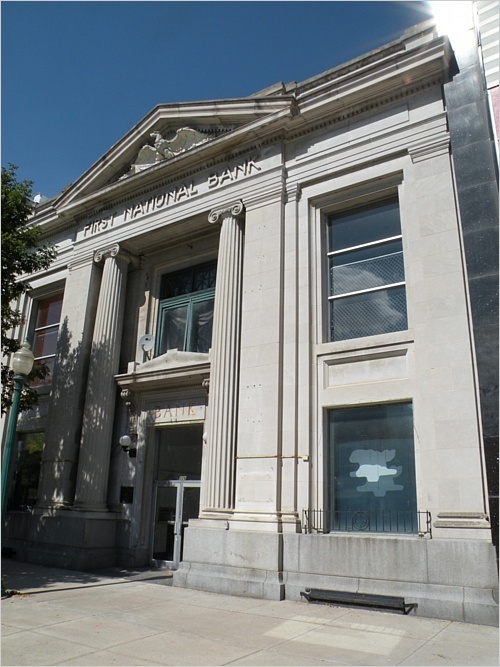 Former Bar/Restaurant with Apartment Upstairs - Clinton, IA - Beautiful bank building. Used to be a bar/restaurant. Perfect location. Looks great inside. Property can be rented ($1300/month). There is a vacant apartment upstairs as well.